Fashion’s penchant for creating deconstructed silhouettes provides an almost satisfying appeal in taking a classic design and breaking it down by exposing seams and removing key elements to create a result that is both familiar and unfamiliar. 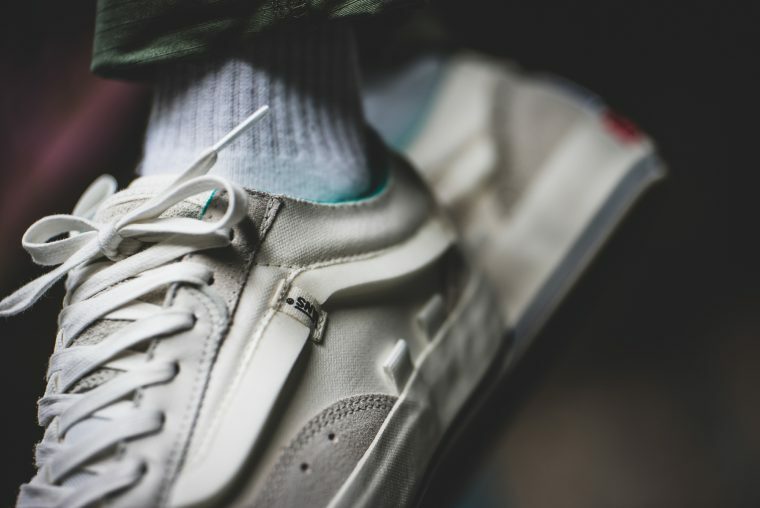 This trend has been perpetuated by labels including Off-White x Nike and adidas x Yeezy, and it seems that Vans is now following suit with their new project, the “Cap LX” pack. The Old Skool serves as a blank canvas to be dismantled in the skate shoe brand’s latest interpretation. Painted in a neutral “marshmallow” cream white, white and tan combination, the shoe’s canvas and suede construction features exposed panels and bulging jazz stripes which jut out from the upper in an abstract formation. Exposed foam is enhanced in a bright teal hue around the collar, while a minimal checkerboard print takes over the medial side of the Old Skool “Cap LX”, paying tribute to Vans’ signature designs. A unique elastic addition arrives on the top of the sneaker to prioritise utility, as more loop holes extend upwards from the midsole at the side. 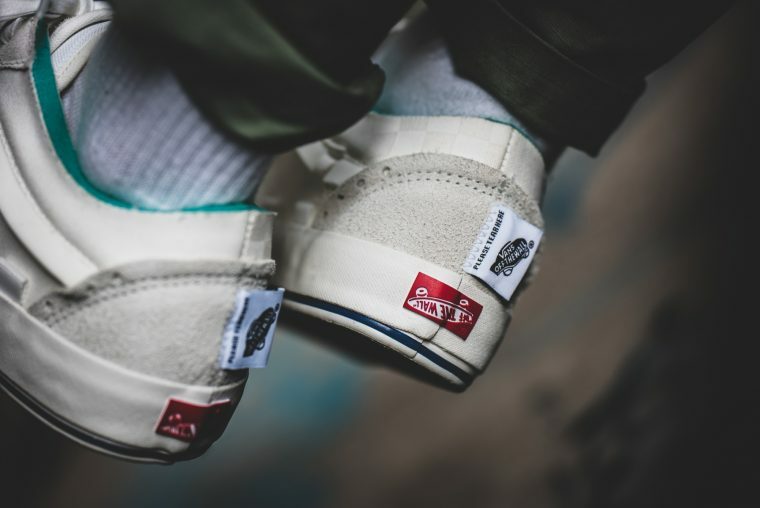 Completing the design is a white “Off the Wall” patch which protrudes from the heel, instructing the wearer to “Please Tear Here” and add to the dissected aesthetic. Branding is also switched up on the midsole, as Vans turn their famous red logo on its head. 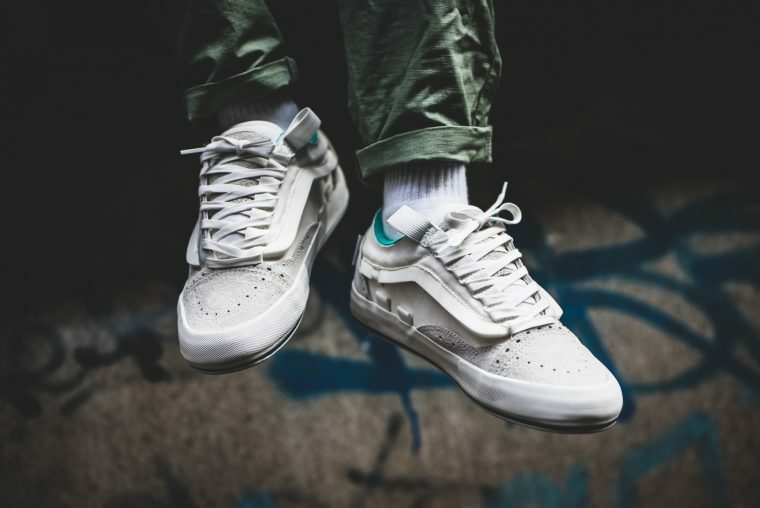 The Vans Old Skool “Cap LX” will be releasing on March 1st at a selection of retailers including 43einhalb. Be sure to stay tuned for more updates if you’re hoping to secure a pair.